The GMT035 has been part of the Heartland truck from Altec (EC175-5S-FG) for 1.5 years, of which also a higher model (EC225-6S-FG) is available. 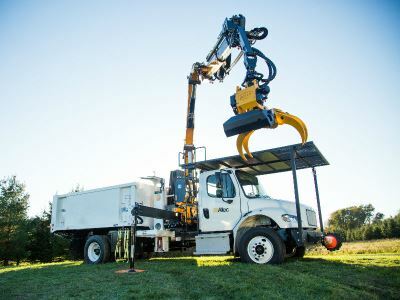 A unique collaboration with the American company Altec, where the GMT035 is combined with a Freightliner truck with an Effer knuckle crane. This 'Self contained Tree Removal unit' has proven itself in the success stories that Altec shares with us and others. We proudly share the latest success story 'Heartland: Tree Takedowns with Increased Safety, Efficiency and Productivity', in which Altec indicates how it works and, above all, why it works.